Want to turn your favorite photos into stunning works of art on canvas? Well, Superchrome is the perfect place to produce a terrific range of canvas prints. Superchrome is one of the world’s largest photo printing companies in the UK, providing the best quality photo image and fantastic finish with a unique printing method. With long years of experience in the field of photo printing on canvas, we serve a multitude of clients all over the world including museums, galleries, hotels, resorts, designers, offices, and homes. At Superchrome, we can create unique art on canvas and highly personalized gifts for our customers from your digital photos for all special occasions. With a blend of modern technology and dye sublimation print technology, the image is impregnated deep into the fibers of the material. 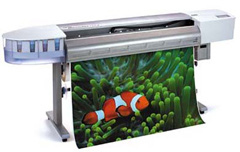 Our printing equipment is constantly calibrated to give your photos a contemporary look. Our designers at Superchrome combine both creativity and versatility to enhance the quality and durability of the printed images. With our high-quality, coated canvas and UV pigmented inks we can create images that last a lifetime. Our ability to recreate original masterpieces on a wide range of the choicest materials including fast dry glossy canvas, coated cotton canvas and fast dry matte canvas makes Superchrome different from other canvas print providers. Whatever custom size you desire, we can resize and format the image to fit your requirements. Price of our products varies according to the size of the print. We at Superchrome can provide you with all types of photo printing, framing and laminating services. Feel free to contact our representative for an online chat to discuss your requirements. Superchrome welcomes all your comments and suggestions. Enjoy browsing through our online site to get a clear picture about our services. If you have any questions about our services and capabilities, please call us or send us an e-mail.